Invest. One Limited is a Seychelles International Business Company, or IBC, an offshore company controlled from onshore by the Demystification Committee. IBCs have a curious legal quirk – they can do no business in the country in which they are registered. This may seem like a major flaw; however, if one has no desire to do business in the Seychelles and merely wants a letterbox or a secretive financial conduit, then they come with some fairly significant benefits. The stand out benefit is full tax exemption, backed up by no requirement to file any paperwork or financial reports. The Seychelles doesn’t want to know and doesn’t want to tax, it makes its money through the company registration and renewal fees. This is public knowledge, but makes it necessary to hide the true beneficiary of a company and its deregulation, lest the beneficiary’s home country begins snooping around. The Seychelles has things covered. The country allows IBCs to be run by puppet directors. Puppet directors are the faceless head of a legal body. They sell their identity, becoming nominee director of a company, becoming its face, and finally becoming its shield for others to hide behind. On paper, a puppet director is the director of a company, legally responsible for and in charge of it. In reality, however, they have signed two documents that forge this legal status. The first, a legal document giving Power of Attorney to the true beneficial owner of the company, sees the puppet agreeing to cede control over the company: the beneficial owner gains the ability to control the company and benefit from its assets on a day-to-day basis. The second, an undated resignation letter. This is presigned, allowing the beneficial owner to remove the puppet director at any time, and for any reason, without their knowledge or input. The resignation letter is a pro forma, but the Power of Attorney is an official legal document. If the puppet is located in a different country than the client, or the company (a useful tactic as it necessarily adds complexity to any possible investigations) then it must be apostilled – legally verified under international law by public official. The apostille is not a quality indicator for the contents of the document, it merely certifies the signature. The signature invents the signer. For the puppet director, the document is simply paperwork; one of many pieces of a jigsaw puzzle they do not make. For the beneficial owner, the only holder of such paperwork, the document is a legal shield enabling back-door access to the company’s assets. Mark Andrew Derek Farmer is the nominee director for Invest. One Limited, the offshore company within the Offshore Investigation Vehicle. M. A. D. Farmer sells his name and signature to a UK offshore service provider, Graham Wooton of One Offshore Company, who in turn forms a company in the offshore location of the client’s (or beneficiaries’)  preference, in this case the Seychelles, assigning directorship of it to M. A. D. Farmer. As far as it is possible to know, M. A. D. Farmer is a British citizen living in Cyprus. He is in his late fifties. He directs dozens of companies on paper. Like much of the offshore world, M. A. D. Farmer is at once present and absent, necessarily undetermined, ubiquitous to the point of being vaporous. M. A. D. Farmer is nobody, thus can be anybody: a retired businessman, blackmailed, dead, unemployed, and short on money, a farmer with a bad crop, or perhaps the alter ego of a kid on the dark web. 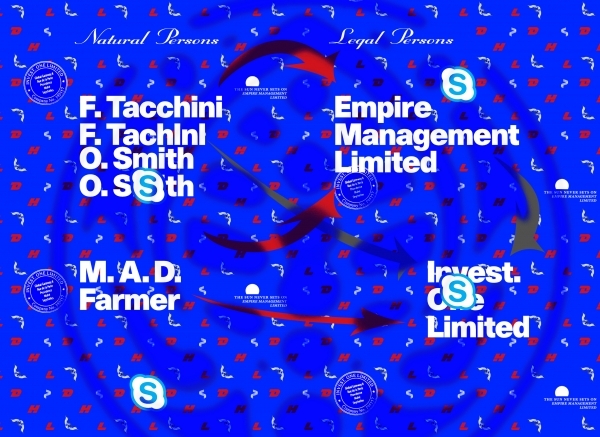 The legalized extra-legality  of offshore structures and the inscrutability of their practices can be exploited to speculate on M. A. D. Farmer’s identity. M. A. D. Farmer is one, no one, and one hundred thousand. The phone on the cafe table buzzes. It’s Graham. Mark sighs. Graham’s a prick, but he can’t risk ignoring him. He sighs again and picks up the phone. »Mark, hi! How are you?« Graham is as gregarious as ever. Business must be good. His business is always good. Mark cringes at »favor.« Graham has a friendly tone, but the power’s his. Graham explains that he needs Mark to sign and send a pack of documents that are in the post. He is detailed and thorough about the steps. Mark needs to sign the documents, have them notarized and verified by the apostille so they’re legal across jurisdictions, and them ship them to an address in the UK. Mrs. Farmer doesn’t bother writing anything except the address down – she knows the process. It works. It had always annoyed Mrs. Farmer that Mark would visit the notary while they were out together but – in hindsight – it had paid off. And it was always nice to see Dina. »I’m here for these.« Mark slides a stack of slips across the post-clerk’s counter. Mark looks as if he’s about to argue, but after a quick calculation of the time that would take hands over his passport – British. The clerk takes only the most cursory glance before handing it back and heading through an open door into the back room. Mark checks his watch, repeatedly, and after some time the clerk returns. Mark grunts his assent, takes the packages and leaves. Mark rubs his forehead. Picking up the document again, he supposes he shouldn’t worry too much about the specifics. Graham had said he was covered by everything, that he would always have a way out for as long as he kept copies, that no one would come looking anyway. It’s quick money but, still, it’s complicated. Legal documents always remind him of signing the lease on the farm. And look how that turned out … Is this a mistake? Can one mistake cancel another? Mark rubs his forehead. Picks up the pen. Dina knew the signs. Mark, the gray-haired gentleman sliding a pack of documents and a passport across her desk was clearly uncomfortable with what he was about to do. Most likely he was a little down on his luck, probably worked for the same company the last 40 years. Didn’t know what to do when they shut down. »And you’d like me to …,« she softly prompts her silent visitor. She knows what he needs, but requires that he asks. Dina pulls out the document. Glancing at the signatures briefly, she deftly flips through the pages, stamping each one. On the last page she briefly compares Mark’s face to his passport before stamping and signing the document. »Right, that’s sorted,« she smiles warmly at him. His, in return, is weak but relieved. Marks face falls. She wants to reassure him, but it’s not her place. Those guys are amateurs. The passport she bought off of AlphaBay is shoddy at best – it wouldn’t fool her kid brother. Photoshopping those documents was too easy – do they even look at them? Whatever. If they want to sell companies to idiots, she’s happy to pose as an old man called Mark and take their money. What difference does it make to them if she’s in Birkenhead, not Cyprus? She shuts her laptop, picks up the already sealed, addressed envelope and heads downstairs. 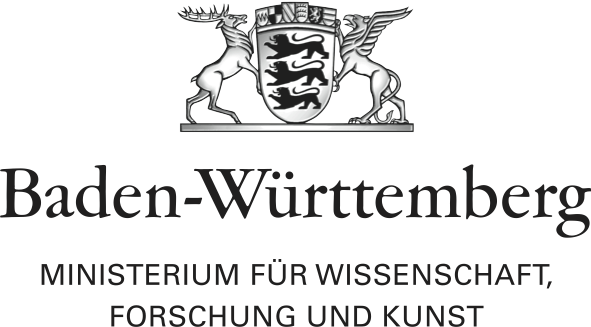 The Demystification Committee received a honorary mention by curator Tatiana Bazzichelli for the web residencies call Blowing the Whistle, Questioning Evidence. Jump Up Francesco Tacchini and Oliver Smith are members of the Demystification Committee and the directors of Empire Management Limited, a UK company that sits at the top of the Offshore Investigation Vehicle, controlling it. They engaged the offshore service provider One Offshore Company, thus becoming beneficiaries of Invest. One Limited hidden behind the nominal directorship of M. A. D. Farmer. This grants the Demystification Committee full, yet secretive control of the offshore company. The Demystification Committee investigates deep systems of power that shape contemporary society through the study of platforms and networks, and the production of visual and sound work. Seeking alternative narratives to the myths of late capitalism, the practice currently focuses on the relationship between sovereignty and capital, and on the friction between communication networks and infrastructures of power.